We set a precedent in CNC development with the introduction of our MAZATROL programming language in 1981. And, over the last three decades, we’ve continued to improve upon this programming language to easily put infinite part production capabilities under your control. MAZATROL makes it possible to run our machines using conversational or EIA/ISO programming. Available on all of our CNC systems, this proprietary programming language brings versatility and ease of use to your production floor. As the fastest, most progressive CNC on the market, the MAZATROL SmoothX brings extreme productivity advantages to the most demanding machining operations. It ensures the shortest possible machining cycle times, especially in fine increment programs for simultaneous 5-axis operations and free-form die-mold machining. 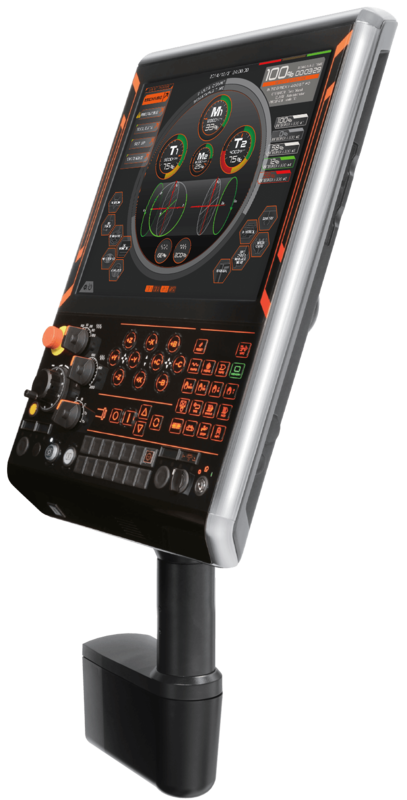 The control incorporates a wide variety of advanced programming functions that allow it to offer complete ease of use and ensure high-speed, high-accuracy machining performance. Ergonomics also play an important role in the functionality of this control. 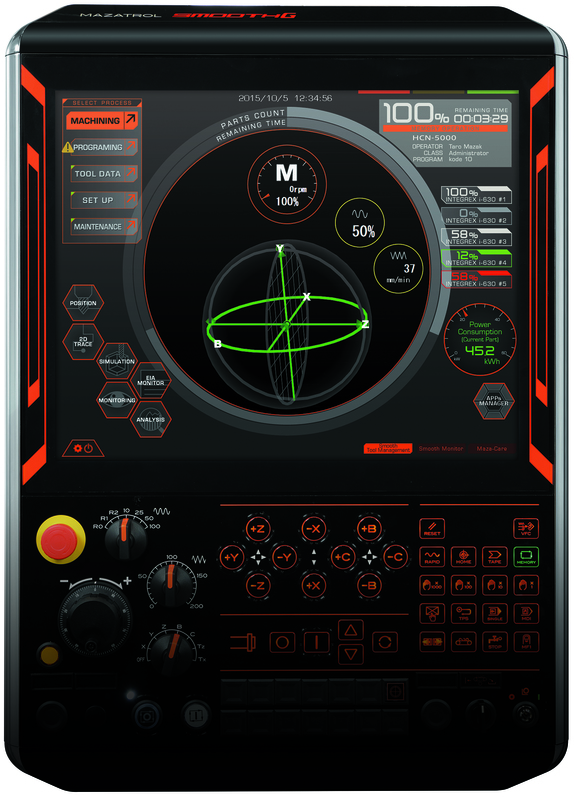 A large 19" display presents all of the critical machine data within a single page view, while the tilt control panel allows for optimum positioning based on operator height. 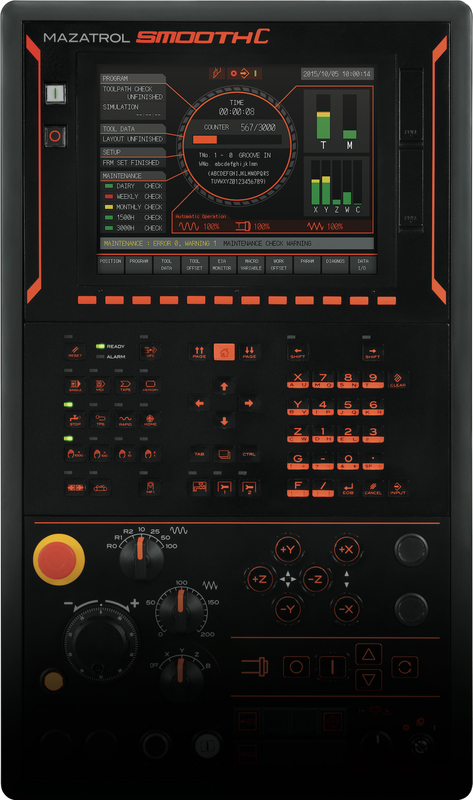 An intuitive multi-touch screen, which is similar to that of a smartphone, enables fast and smooth programming operations. An SD card allows the CNC to store up to 32GB of data. The MAZATROL SmoothG makes it easy to generate programs for processing complex parts through off-centerline machining as well as angled drilling, milling and tapping. Mazak’s latest MAZATROL SmoothC technology is simple but innovative. It has both new and improved features that enhance cutting capabilities. The MAZATROL SmoothC makes it easy for operators to generate programs for basic turning, milling, drilling and tapping operations. The MATRIX 2 CNC makes it easy to generate programs for multi-tasking and simultaneous 5-axis operations as well as automated processes. It features advanced hardware and software functions that ensure fast processing speeds, excellent cornering and superior surface finish in highly complex part production. 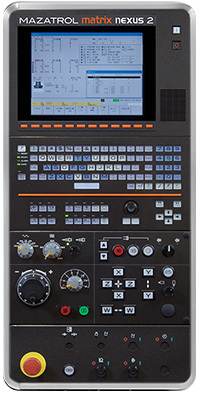 The CNC accommodates up to nine axes and stores up to 20GB of program data. It also features an extended card for connection to field networks. 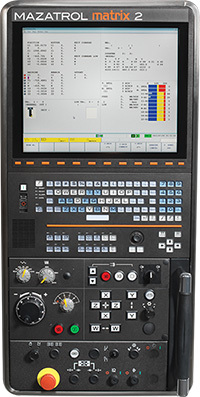 The MATRIX NEXUS 2 CNC makes it easy to generate programs for angled drilling, milling or tapping operations. It features advanced hardware and software functions that help ensure high productivity and performance in complex part production. The CNC can simultaneously control up to three axes, handle the continuous control of second spindles and save up to 20GB of program data.